What can you tell me about the piece? New, old, fake, authentic? How about the mark? Thanks. 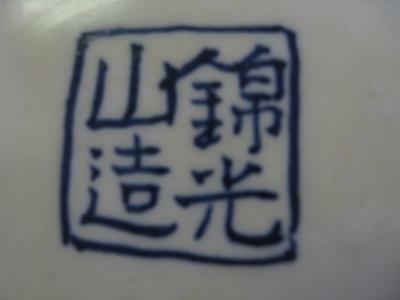 Before I got your comment I was told that the mark is in Japanese and it reads Kinkozan - 錦光山造. 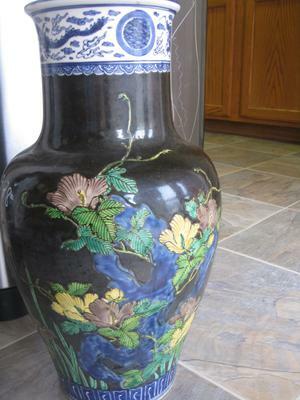 So, the vase turn to be satsuma but I have hard time trying to date it. I guess it is Meiji but could be newer or older. 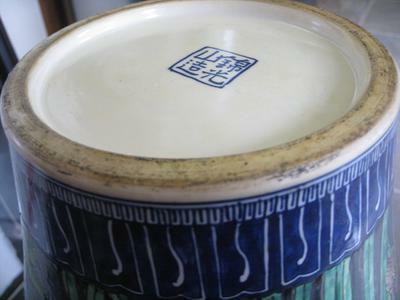 To me the vase appears to feature a strange combination of decoration - the raised enamel flowers and the white and blue neck and bottom. Cannot find anything similar.